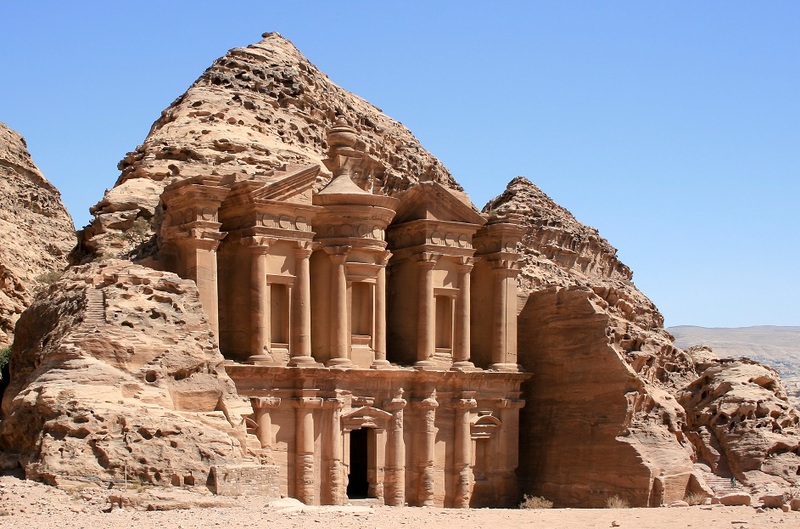 Besides being Jordan’s most valuable treasure, Petra was voted as one of the 7 Wonders of the World in 2007. Thousands of tourists flock to visit Petra as it’s an ancient city that had been carved into the rocks. The size of this ancient city is already so big but unearthing it continues as research has shown much of the city is beneath the rocks. Visiting Petra will take your breath away with its monstrous sized buildings. 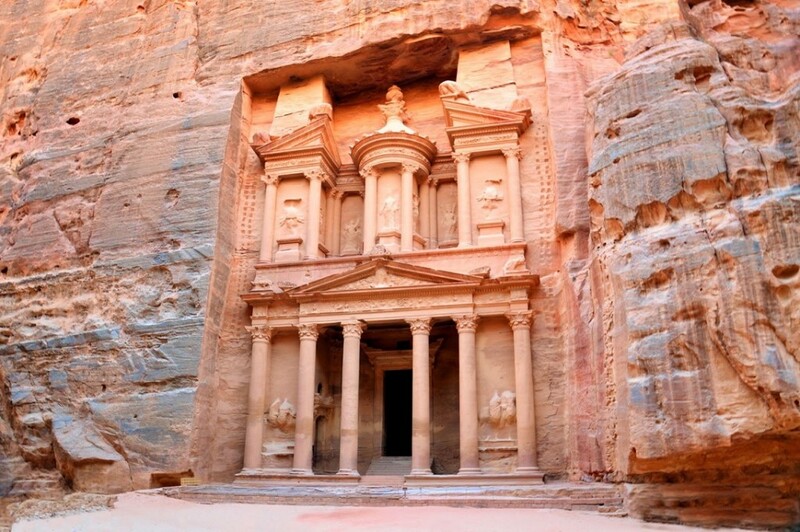 Let’s review the facts and history of Petra before you travel there. The City of Petra is often referred to as the ‘Rose City’. This is due to its surrounding of red coloured rocks and mountains. Indiana Jones and the Last Crusade shot several scenes in Petra which included the Treasury and Al Siq. There’s even an Indiana Jones merchandise shop at the Siq’s entrance. The original name of the city was Raqeem which was discovered during an excavation of the Dam. It had been renamed to Petra (meaning rock) by the Greeks upon their arrival. The urn vessel inside the Treasury is riddled with bullet holes by attempts from bounty hunters. They had shot the stone urn believing it had gold hidden inside but the urn never broke. Builders spent hours and days chiselling and carving the monuments inside Petra. 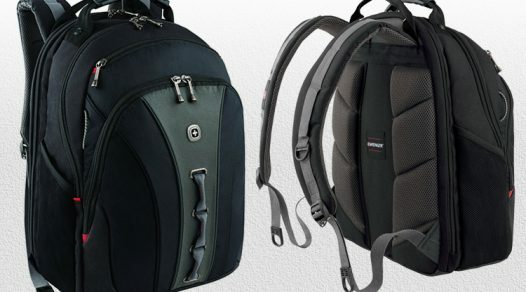 Most of these have complicated designs. One of the most beautiful views of Petra is seeing the Treasury at the end of the Siq pathway. 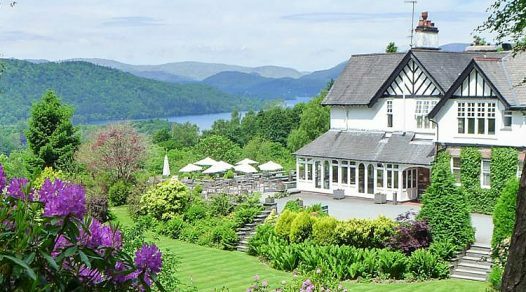 It’s a truly breath-taking site that’s best seen during the day. Petra Archaeological Park became a registered World Heritage Site on the UNESCO World Heritage list in 1985. This includes the landscape but the main focus is the city of Petra itself. Half built and half carved into the red sandstone cliffs in Jordan, the ancient city of Petra was once the capital city of the Nabataean tribe. The red landscape gave the city its nickname of Rose City. It’s hard to believe but under these red rocks, it once housed a population of around 20,000 people at its peak. Spanning over 60 square kilometres, there were buildings, temples, a senate and homes. 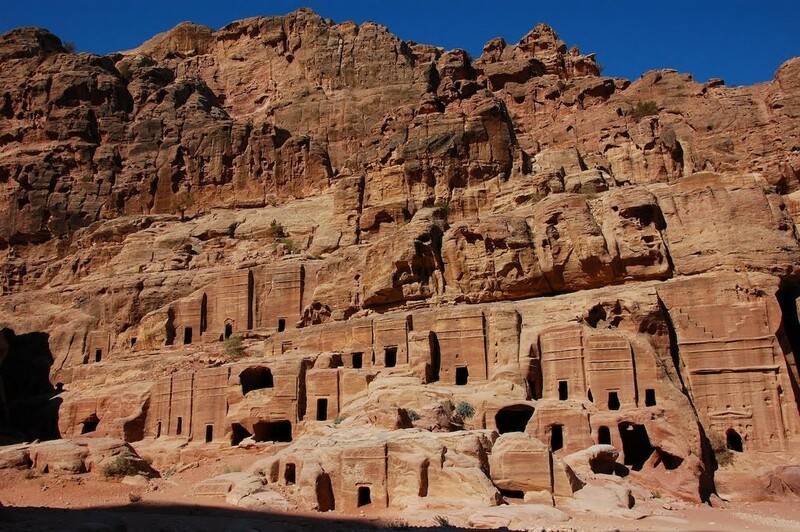 The biggest monument inside Petra is the Monastery which measures 48 metres high and 47 metres wide. A complex water system had been built to ensure the survival of the people in the desert. The city flourished with trade from the Silk Road and collection of fees and duties from passing caravans amongst other sources of income which drew the Roman Empire’s interest to the city. Access to the city of Petra meant going through a narrow canon called Al Siq which was the only main entrance in so it was easy to protect the city. This rock canal was formed from a combination of natural rock formation and the Nabataeans. 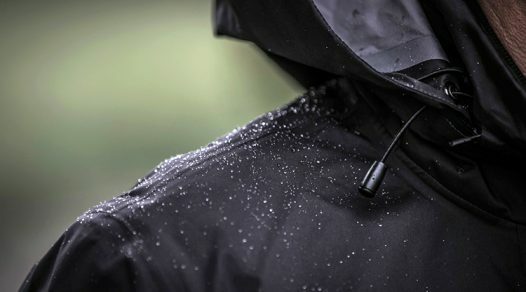 It measures 160 metres in length and 3 to 12 metres wide. Upon reaching the end, the first thing seen is the breath-taking Al Kazneh, known as the Treasury. Measuring 25 metres wide and 39 metres high, the two level building is Petra’s pride and joy with beautiful decorations of Corinthian capitals, figures and patterns. Crowned by a funerary urn, legend has it that a pharaoh’s treasure was hidden here but it’s more likely it was a graveyard site based on evidence from excavations. With the three chambers inside, it’s unclear what the role of the Treasury was but one thing for certain is that this structure is evidence of the Nabataean’s engineering skills. The biggest monument inside Petra is the Monastery which measures 48 metres high and 47 metres wide. To get to this structure, there are over 850 steps upwards to climb but as soon as it comes into view, a vast valley of mountains opens with the Monastery standing there alone. Although this monument was built on the model of the Treasury itself, its purpose is believed to have been used as a religious temple because of its construction inside where there are two side benches and an altar. Levelling of the plaza in front suggested it was to hold large crowds gathering for religious ceremonies. Being surrounded by 80 metre rock walls and mountains, this ensured the safety of Petra. It was an easily defendable city. However, the Nabataean tribe lost the city to Emperor Trayan in 106 B.C. and the Roman Empire took over. Despite this, Petra continued to prosper but soon, their wealth started to diminish due to route changes in the Silk Road. The Romans left and the Byzanites came. They refurbished some of the monuments to Christian temples. However, after the natural disaster in the form of an earthquake shook the city, much damage was caused to the city. The continuous slow decline of the Rose City led to its abandonment and by 7th century A.D., it was forgotten to all but local Bedouins. Petra remained hidden until it was discovered in 1812 by a Swiss explorer, Johann Ludwig Burckhardt, who disguised himself as an Arab and befriended his Bedouin guide so that he would be taken to the lost city of Petra. Since then, Jordan has attracted many tourists to visit Petra. But most of the city is still to be discovered. Only an estimated 15% of the city has been unearthed and it’s believed that the remaining 85% is beneath the rocks. In early June 2016, through satellite survey, archaeologists discovered a gigantic platform with columns and a staircase followed by a smaller structure. It appeared this structure is beneath the surface making it hard to reach. Archaeological research continues and with newly advanced technology, archaeologists hope to unveil more of the Rose City. With the many structures that have been uncovered inside Petra so far, it’s not certain what the purpose of each building was. Each building gained its name from Arabs basing each one on its myths and appearance. The Nabataeans left no map or clue of the city so the role of each structure has been left to archaeological evidence or the imagination of those who look upon it. Situated in Jordan, the lost city of Petra can be found at the start of Wadi Musa which is a small town nearest to the Rose City. The red sandstone landscape of Petra sits 240km south from Jordan’s capital Amman and 120km north from Aqapa in Jordan. Bordering towns include Eilat in Israel. Although the city is quite far inland, the Dead Sea and Red Sea sits on either side of Jordan. 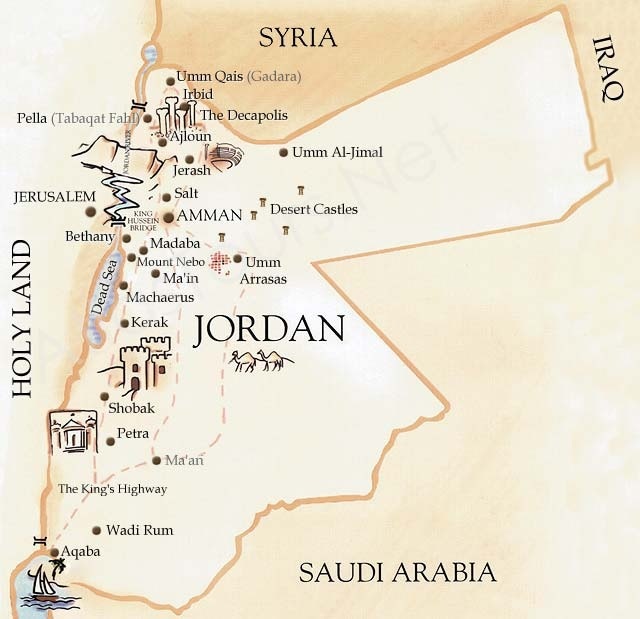 Neighbouring countries to Jordan include Israel, Syria, Saudi Arabia and Iraq. One cannot pinpoint the exact year of when Petra was built but the city became known around 1st century B.C. when its wealth began to increase through its trade in frankincense, myrrh and spices as it became a part of the famous Silk Road. It’s over 2000 years old. The Street of Facades with its many tombs constructed in 1st century A.D. (image credit – panoramio.com). 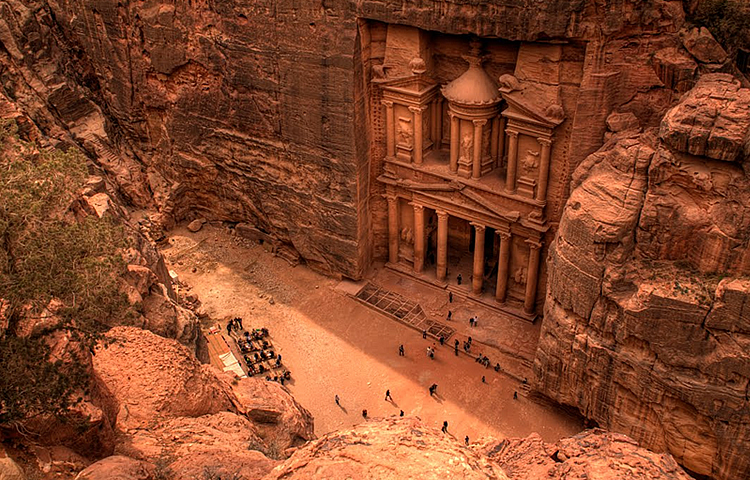 Monuments were built throughout the time of Petra even during the Roman Empire’s occupation. Archaeological evidence and architecture design gives estimates of the period buildings were constructed ranging from 9th century B.C. 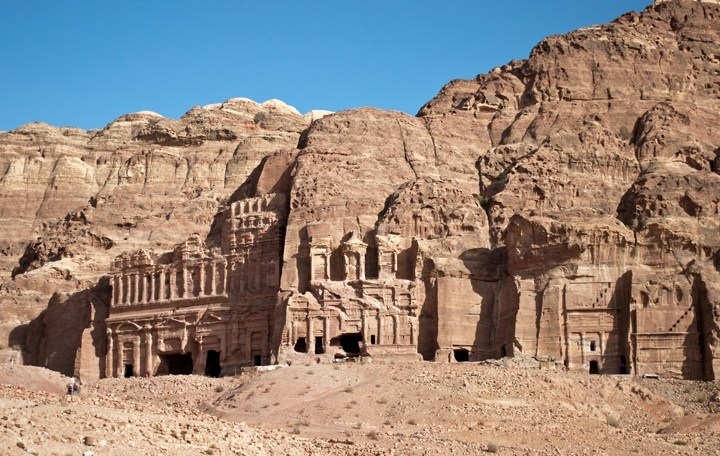 until the fall of Petra in 7th century A.D.
Who Built Petra and Why? Archaeological evidence suggests the landscape had been inhabited since 10,000 B.C. and occupied around 1200 B.C. by the Edomites before the Nabataean tribe took control around 6th century B.C. Originating from the Arabian Peninsula, the Arab tribe known as the Nabataeans originally lived nomadic lives before they became an organised society in 2nd century B.C. They settled in Petra, Jordan at first before they expanded their territory until they controlled much of the Middle East from Israel to the northern Arabian Peninsula. As with many ancient monuments and cities, it’s believed the Nabataeans built Petra so that it aligned with the sun to predict equinoxes, solstices and astronomical events. This ancient tribe were assumed to be sun worshippers and monuments were built according to where and how the sun would illuminate certain structures. At different times of the year, the sun would highlight or align with an important monument. For example, during winter solstice, the sunlight highlights the podium of a deity inside the Monastery. Or during sunrise, an important structure such as the Treasury would be illuminated. Wadi Musa is the nearest town to the ancient city of Petra and it’s easily walkable from here to Petra’s visitor centre or main entrance. Aqaba is the next nearest town and you can travel to the Rose City by taxi or the public buses in the town centre’s market. Getting into Petra from the neighbouring town of Eilat, Israel, is easily reachable by walking past the border crossing but make sure you buy a visa beforehand. 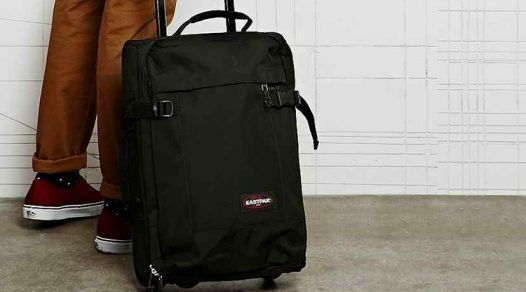 Alternatively, going with a tour company may prove to be easier as they will sort your visa and it saves you from having to get a taxi once you pass into Jordan. Tickets and maps for Petra can be purchased on arrival at Petra’s visitor centre. Prices start from 50 Jordanian Dinar (JD) depending on your length of stay in Petra, Jordan but it’s free for children under 12 years of age. It’s not necessary to go with a tourist guide or group but for those who prefer to, there are tourist guide tickets available from 50 JD. The visitor centre also offers a tour by carriage service from 20 JD. 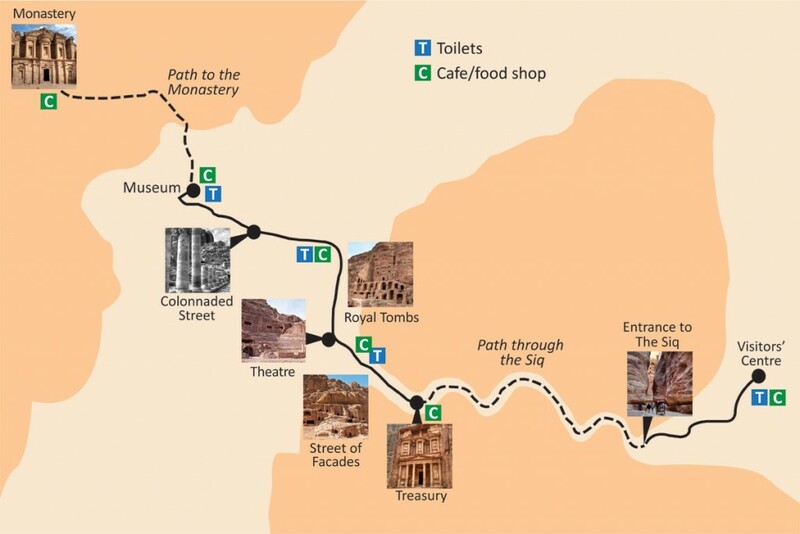 From Petra’s visitor centre, the main trail can be easily followed which takes you through all of Petra’s monuments. There are low paths, steps, steep hills and rocky paths throughout this 4km trail that you will be walking on so it’s best to wear suitable footwear such as hiking shoes as you will be walking for the whole day. The Al Kubtha Trail – starts at the visitor centre and ends at the Treasury viewpoint which takes about 4 to 5 hours. 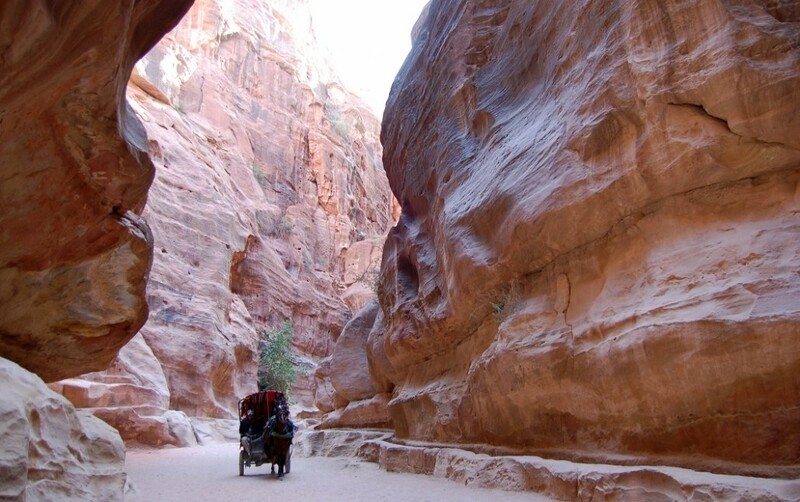 The High Place Trail – starts at the Siq exit and ends at Qasr al-Bint Temple which takes up to 3.5 hours. The Ad Deir Back Route – starts at Kharrubat al-Fajja and ends at Ad Deir which takes up to 5 hours. There are restaurants and toilets situated throughout the city of Petra. The weather in Petra is generally hot all year round but it’s somewhat cooler in spring and autumn so if you can’t stand hot weather, go in these seasons. There’s also less tourists during these periods. Petra’s opening times vary with the season but it’s open on a daily basis. 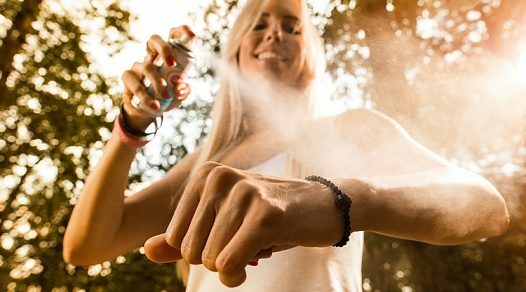 In the summer, it’s 6am to 6pm and in the winter, it’s 6am to 4pm. However, it’s not a quick see and go type of sight. You will need at least two days just to visit the major monuments. Five days will give you more time to explore the Petra Archaeological Park. Visiting Petra is best in the early hours of the morning where you can watch the sunrise and illuminate and light up the beautiful monuments. The Treasury is one of the spectacular structures to view at sunrise due to the changes in its colour. Otherwise, visit Petra in the late afternoon so you can watch the sunset and see how the setting sun’s light effects inside some of the monuments. Both early morning and late afternoon visits are the quietest time. Once it’s dark, you can view Petra by night for an extra fee where you will walk along the Siq lit by candles into the Treasury. Don’t leave visiting Petra too late. This ancient city could soon be closed to the world because it faces constant decay. With environmental factors such as climate and salt from the Dead Sea, the delicate red sandstones are gradually weakening which can end up with further destruction to the city.